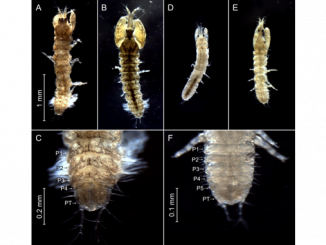 Over the past few decades, Ponto-Caspian gammarids Pontogammarus robustoides, Obesogammarus crassus and Dikerogammarus haemobaphes have colonized the European inland and coastal brackish waters. Previous experimental studies of P. robustoides, O. crassus and D. haemobaphes indicated that the salinity optimum for the species is about 7 PSU. 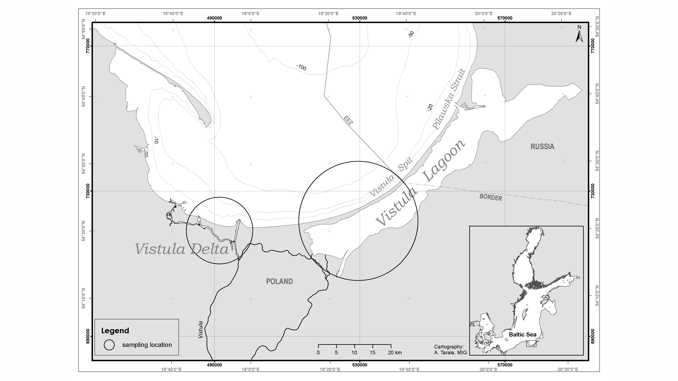 We examined whether salinities below 5 PSU in the Vistula estuary – the Vistula Lagoon and the Vistula Delta, create a favorable environment and have a positive effect on Ponto-Caspian gammarids. The objective of this work was to determine the population parameters (size structure) and biological indicators (condition) of the studied gammarid species at a low salinity level. Length–weight relationships can be considered as their body condition in the environment. These relationships were calculated for each gammarid species according to the exponential equation y = ax<sup>b</sup>, where: y – wet weight, x – total length, a – intercept, b – slope. The results clearly show responses of Ponto-Caspian gammarids to the low salinity habitat and indicate that such environment provides excellent conditions. The results of analysis show that the condition of gammarids is good. The optimal strategy of the examined alien gammarids may help them to maintain a strong competitive position in the environment and affect the colonization process in non-native waters with low salinity.